Figuring out how far sea level rose during past warm periods in Earth's history starts with a walk on the beach, a keen eye for evidence of ancient shorelines, and a highly accurate GPS system. The math isn't as simple as subtracting the distance from the old shoreline to the water's edge, though. As massive ice sheets retreated during past ice ages, their weight on the land below lifted and the land rebounded. On longer time scales, circulation within the Earth's mantle has changed the shape and height of the crust, as well. Lamont-Doherty Earth Observatory marine geologist Maureen Raymo has been at the forefront of the discovery of these forces and of efforts to account for them. Her goal – working in collaboration with Robin Bell's Polar Geophysics Group through their joint Changing Ice, Changing Coastlines Initiative – is to answer two critical questions: how far will sea level rise as the planet warms now, and how fast? The answers require knowledge of how the ice sheets are changing now and how sea level rose long ago when global temperatures were warmer than today. 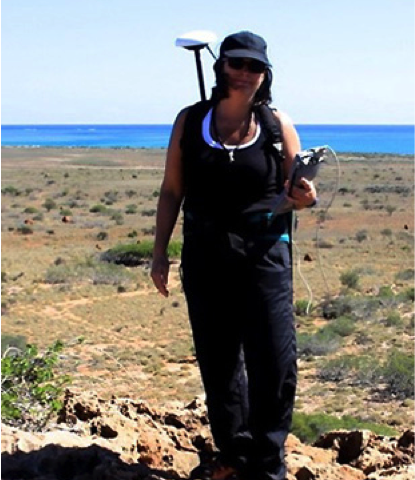 While Bell's team focuses on the ice sheets, Raymo and her colleagues and graduate students have been mapping old shorelines and collecting samples around the world, from Australia's Cape Range to Argentina's rocky coast. Scientists can spot changes in the fossil structures along the shoreline by using drones and planes equipped with lidar. But to figure out the age of ancient stranded reefs, they need to hike in with rock hammers and GPS. 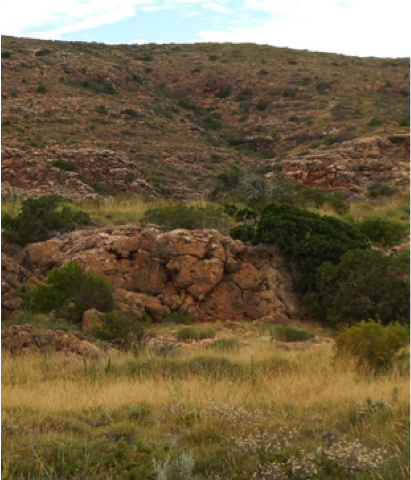 In Western Australia, Lamont graduate student Michael Sandstrom, with colleagues from both Columbia University and the University of Western Australia, spent weeks walking the coast with heavy packs this summer, documenting the height and location of old shorelines and chipping off samples to take back to the lab. "In a modern beach environment there are a lot of indicators of where current-day sea level is – tidal notches, subtidal bedding, articulated bivalves (unopened shells can be indicators of intertidal zones). Once we get an idea of what the modern environment looks like, we hike inland looking for the same assemblages and indicators, and we can say that when this past shoreline formed, sea level was at this point," Sandstrom said. Back at Lamont, home to one of the most advanced clean labs in geochemistry, Sandstrom uses a thermal ionization mass spectrometer to narrow down the ages of old shoreline samples. One test separates out the isotopes strontium-86 and strontium-87. The isotopes' relative levels in seawater have changed over millions of years, creating something of a timestamp that scientists can use to determine when the shells were alive. Sandstrom also uses cosmogenic dating techniques with beryllium-10 to determine how long ancient reefs have been above the water level where they would be exposed to cosmic rays. The test provides a minimum age for checking against the strontium results. With younger corals, Sandstrom can also use uranium-thorium dating, by which he compares levels of uranium-234 to thorium-230 to determine how long the uranium-234 has been decaying. 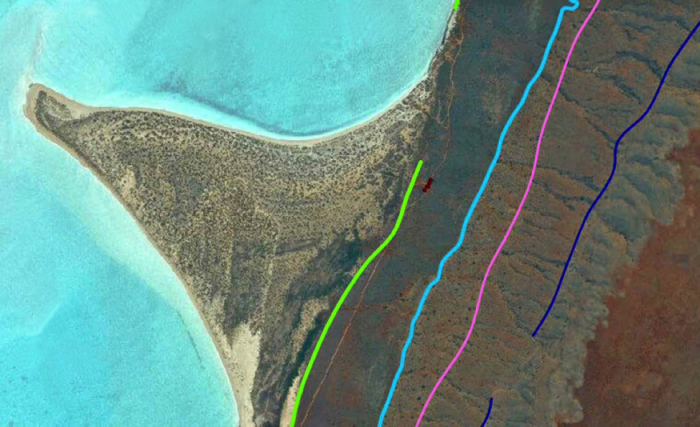 The GPS data paired with the dates allow the scientists to track the rise and fall of old shorelines and calculate the influence of other forces. "All of these shorelines were deposited basically horizontally when they were formed. Any sort of local deformation is an indication of either tectonics or dynamic topography," Sandstrom said. "If we're able to get really accurate ages, we can tell the relative uplift rates and can calculate roughly what elevation local sea level was. Then we can start to look at other climate records and figure out how sea level relates to things like atmospheric CO2 concentration, what climate was like, what the ocean currents were doing." Raymo, a Bruce C. Heezen Lamont Research Professor at Lamont, was drawn to sea level research by a paradox. Fossil evidence from the mid-Pliocene warm period, about 3 million years ago, indicates that temperatures were 1 to 2 degrees Celsius warmer than today. However, sea level estimates from that time varied widely, ranging from 10 meters to about 40 meters above the present level, implying very different polar ice sheet responses for a small amount of warming. Why did different studies come to such different conclusions about the height of past sea levels? "It turns out, the answer was twofold: no one had corrected their field observations for isostasy, or the deformation of the crust in response to the addition or removal and ice and ocean water—we figured out how to do that; and no one had recognized the really strong influence of dynamic topography, which also deformed ancient shorelines," Raymo said. While working along the U.S. East Coast a few years ago, Raymo and Alessio Rovere, then a postdoctoral research scientist at Lamont, noticed that the calculations of mid-Pliocene sea levels 3 million years ago were still too varied, even when they accounted for isostasy. They realized then that dynamic topography – the patterns of uplift and subsidence of the crust induced by movement in Earth's mantle over time scales of hundreds of thousands of years – was playing an important role. Raymo's team is now working on isolating the influence of dynamic topography on ancient shorelines around the world. Today, global sea level is rising at about 3 millimeters per year as rising temperatures cause the oceans to expand and glaciers to melt. At the end of the last glacial period, about 15,000 years ago, it rose much faster, reaching about 40 mm per year. Understanding what happened then and in other periods past is allowing scientists to make better estimates of the risk ahead. 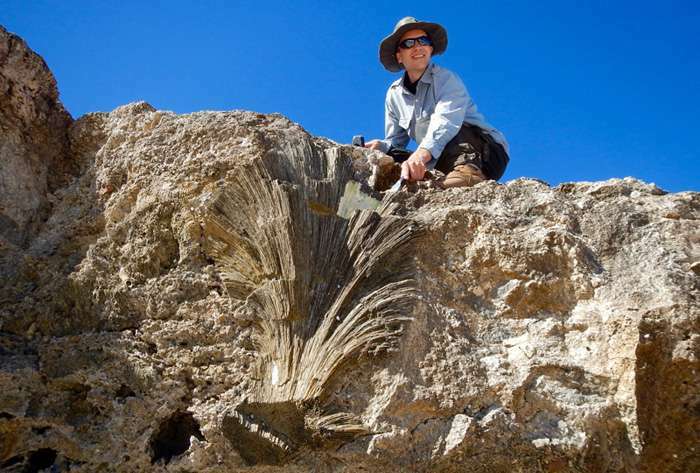 Many Marine fossils have been found at altitudes of more than 5,000 feet. And far away from currrent shorelines. The sea was much higher in times past. And in fact could have covered the whole face of the earth at one time. However the dynamic topography should be visible in the deformation of the layering itself (e.g. by looking at the shape of the iridium anomaly layer) - so it might be possible to account for this effect. They realized then that dynamic topography – the patterns of uplift and subsidence of the crust induced by movement in Earth's mantle over time scales of hundreds of thousands of years – was playing an important role.